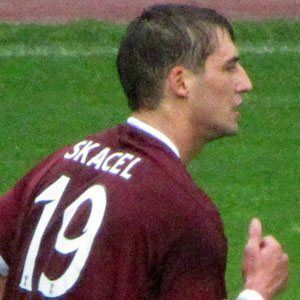 Czech soccer player known as an attacking midfielder for clubs like Southampton and Heart of Midlothian. He won Scottish Cup titles with Heart of Midlothian in 2006 and 2012. He began his youth career with FK Trutnov in 1985. He won gold as a member of the Czech Republic Under-21 squad at the European Under-21 Football Championship. Both of his parents are teachers. He has been teammates with Jan Koller on the Czech national team that played at the UEFA Euro 2008.